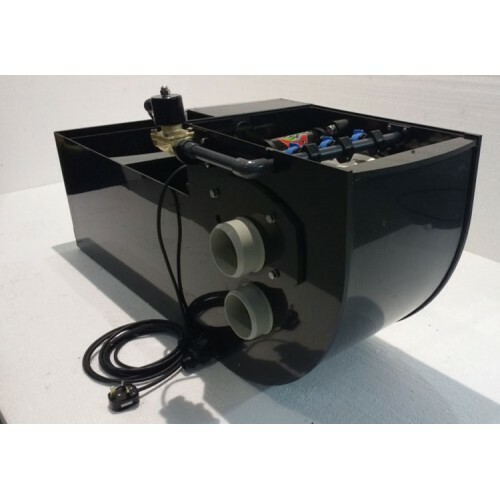 The Minima Combi Unit is a fully functional, expandable drum combi system that is perfect for quarantine systems and average stocked ponds up to 2000 gallons. At just 30.5cm wide this compact unit is ideal where there is little space. 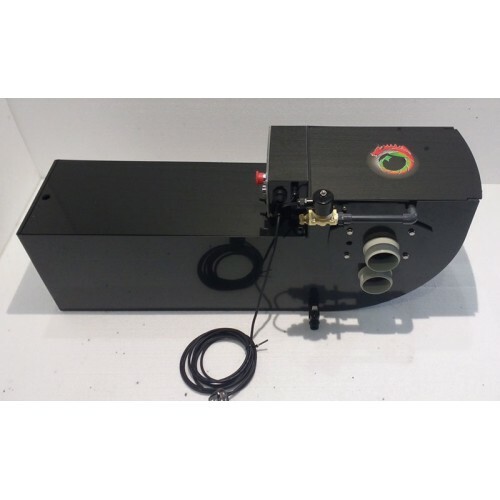 The unit can be run both pump or gravity fed with the height above static pond water is 17.5cm and approximately 18.5cm above pump fed (although this will reduce maximum flow by 25%). Media capacity is approximately 40 litres and is suitable for micro K1 media. The unit benefits from remotely sited controllers that are able to start/emergency stop buttons and are also able to control and change the length of wash. LED indicators show the length of time between washes in minutes. Supplied with two leads - one to plug in to mains the mains supply (110v and 230v, auto selectable) whilst the second plugs into the drum. The status of the unit is then monitored via 4 colour coded LED's which is simple, yet effective. Dimensions (including inlet/outlet pipes) - 350mm wide x 1215mm long x 488mm high. Pond Volume - Approx 2,000 UK gallons.